Posted By PA Breast Cancer Coalition on November 14th, 2014 at 7:56 am | 9196 comments. 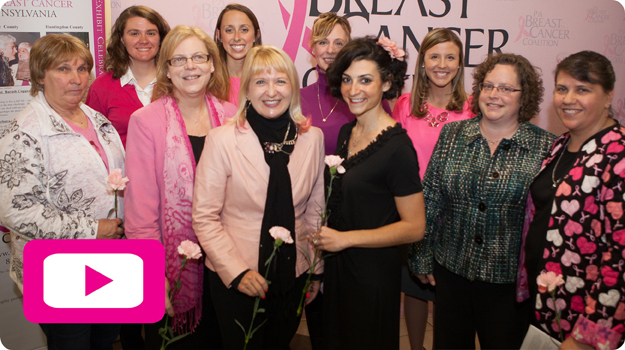 The PA Breast Cancer Coalition is dedicated to finding a cure for breast cancer. To make that happen, we support researchers in Pennsylvania working every day to investigate the cause, improve treatment and ultimately find the cure for breast cancer. You’re invited to join us Thursday, November 20 at 10:30am at Penn State Hershey Medical Center as we make a major announcement of support for a breast cancer breakthrough right here in our backyard. The announcement will be made in Penn State Hershey’s 2nd floor Media Center. Attendees can access the room through the main hospital entrance. We hope you will be there as we move forward in our fight to end breast cancer together. Be there… be part of history! Posted By PA Breast Cancer Coalition on November 14th, 2014 at 7:55 am | 11352 comments. 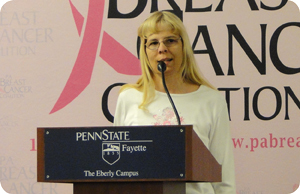 This fall, the PBCC’s traveling photo exhibit 67 Women, 67 Counties: Facing Breast Cancer in Pennsylvania returned to Centre County and made its first appearance in Fayette County. Mount Nittany Medical Center’s Lance and Ellen Shaner Cancer Pavilion hosted the exhibit in Centre County. In Fayette, the exhibit traveled to Penn State University’s Eberly Campus. Survivors from both communities told their stories of hope and inspiration, sharing the importance of early detection. Thank you to the committees in Centre and Fayette Counties for welcoming the PBCC and this important exhibit to your communities, and special thanks to the PA Department of Health for its continued support of 67 Women, 67 Counties: Facing Breast Cancer in Pennsylvania. Posted By PA Breast Cancer Coalition on November 14th, 2014 at 7:53 am | 551 comments. It started with me feeling really tired, just no energy, and I thought it was low blood sugar. And then I got an email that the Fox Chase Cancer Center’s mammography van was coming to my husband’s workplace at GlaxoSmithKline. My gynecologist had been telling me to get a mammogram and then the day the van was scheduled, I felt a lump in the shower. I thought I must have been imagining things. I got the mammogram done, told them about the lump I felt, and they saw it. I needed to get a biopsy. That was right before Mother’s Day in 2013. Afterwards I got a call saying it was triple-negative breast cancer. She started talking about grade and tumor size and I didn’t know what it all meant. I decided to get a second opinion at Penn and wound up having surgery and treatment there. I had a double mastectomy and tram flap for reconstruction. I had to have chemo but no radiation because there was no node involvement. My treatment is all finished now. Throughout the process, my mother and my husband made sure I was never alone. They asked questions and helped me. I sat my children down and explained everything to them and hoped they would understand. My son couldn’t imagine at the time how mommy could be sick. That didn’t happen. He was afraid. My daughter was all about the pink ribbon and asked a lot of questions. I teach her about looking out for things in her own body. The whole experience showed me that I’m a lot stronger than I ever thought I was. It gave me a new reason for living and a new voice. I feel like I can conquer anything now. I feel like there are times in our lives when we let fear cripple us. Now after all I’ve gone through I learned that fear is not real. I don’t have time to play with fear. When it was all done, I said I gave cancer its eviction notice out of my body and apparently it accepted that. I encourage other women to share their stories if they can because you don’t know who you might help. I was blessed because I had a large village of people who stepped in to help. Posted By PA Breast Cancer Coalition on November 14th, 2014 at 7:52 am | 1142 comments. 24 hours. Endless possibilities. 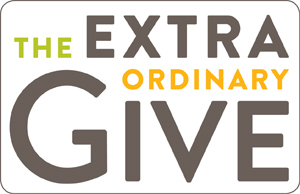 The PBCC is participating in the Extraordinary Give next Friday, November 21! The Extra Give is a 24-hour giving marathon during which donors have the opportunity to contribute to the PBCC and the Lancaster County Community will give a little extra to increase the donation. Every penny donated to the Coalition will support Pennsylvania breast cancer researchers. Take part in the Extra Give next Friday and bring us closer to a cure! Contest alert! After you’ve donated, share the news using #PBCCGive on social media and we’ll send you a Coalition t-shirt! Share it and wear it! Posted By PA Breast Cancer Coalition on November 14th, 2014 at 7:51 am | 307 comments. Hispanics have less than a 10 percent lifetime risk of developing breast cancer when compared to 13 percent for non-Hispanic whites and 11 percent for African Americans. A study led by a team at the University of California, San Francisco may have found why Latinas have a lower risk of developing breast cancer. There is a genetic variation that is common in Hispanic women with indigenous American ancestry that appears to lower the risk of breast cancer. Posted By PA Breast Cancer Coalition on November 14th, 2014 at 7:50 am | 5155 comments. 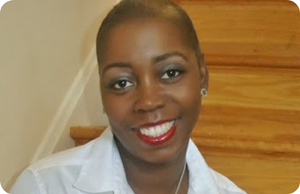 FRIENDS ARE BY YOUR SIDE is a nonprofit organization, uniting salon owners who share the mission to help women and children going through cancer treatment. 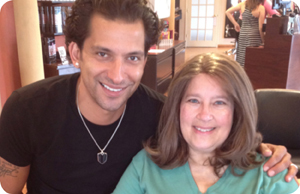 Stylists and beauty industry experts donate wigs and salon services, and grant children’s wishes. The website lists salons across the country (and beyond!) participating in the program, including 20 salons in Pennsylvania. 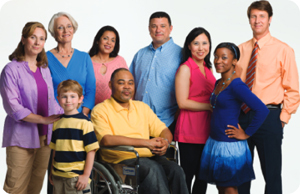 For more information on Friends Are By Your Side, visit the website here. Posted By PA Breast Cancer Coalition on November 3rd, 2014 at 10:28 am | 1847 comments. Great news! 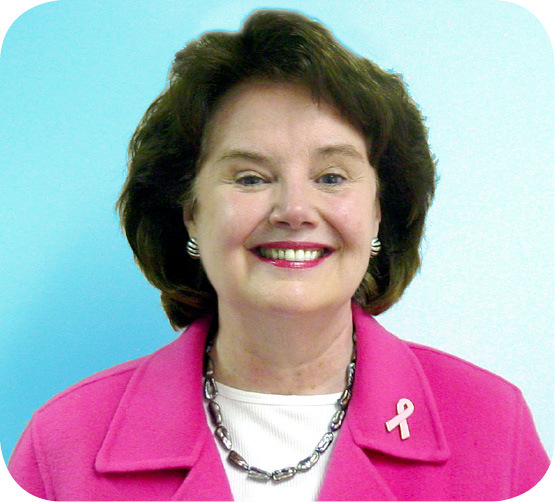 We are proud to announce that, this past week, The White House recognized our PBCC President and Founder Pat Halpin-Murphy as one of 2014’s Champions of Change! The Champions of Change program honors ordinary Americans doing extraordinary things in their communities. Pat received the distinction for her unparalleled work advocating for women’s health care and insurance coverage. 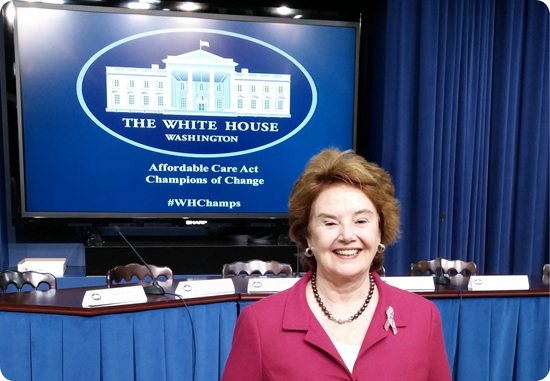 Pat was featured as a speaker on the White House Champions of Change panel, discussing the Affordable Care Act and Pennsylvania’s Free Treatment program for breast cancer. Congratulations, Pat! If you would like to send Pat a message, click here.